In a career marked by strange, wonderful stories (Ghost Riders, 2003, etc. 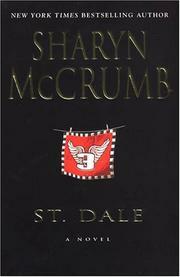 ), McCrumb offers her strangest yet: a modern-day Canterbury Tales with Dale Earnhardt replacing Thomas à Becket. The Number Three Pilgrimage, as Bailey Travel bills it, takes 13 pilgrims, all Harry Bailey could get racetrack tickets for, on a journey through the NASCAR strongholds of the Southeast—racetracks steeped in the lore of the Intimidator and his contemporaries—under the wing of former journeyman driver Harley Claymore. Harley hopes to use the tour to climb back into the circuit. Wall Street broker Terence Palmer is using his late father’s tickets for himself and Sarah Nash, his dad’s neighbor, to connect with the faraway parent he never knew. Shane McKee’s taking advantage of the trip to get hitched under Dale’s ghostly eye. Rev. Bill Knight is squiring ten-year-old Matthew Hinshaw, whose dying wish the trip is fulfilling. Judge Bekasu Holifield, her thrice-married sister Justine, and their cousin Cayle Warrenby are just out for a good time, though Cayle’s convinced that Earnhardt came back from the grave to fix her ailing car on an isolated stretch of North Carolina roadway. In between pauses to lay memorial wreaths at Bristol, Martinsville, Mooresville, Rockingham, Lowe’s, Talladega, Atlanta, Daytona and Darlington, they swap capsule summaries of their lives and brief testimonials to their hero. “I’ve always thought saints must be like that,” Knight recalls a friend telling him, and Sarah adds, “Never knew the worth of him until he died.” McCrumb has much to say about secular sainthood, but her fondness for aphorism and her split allegiance to her pilgrims and the object of their veneration work against Earnhardt’s, or even Chaucer’s, momentum. Still, this book of moments is required reading for anybody who still mourns Number Three—or who wonders what the fuss is about.